Mayfield Robotics’ Kuri robot has expressive eyes. As usual, the annual Consumer Electronics Show in Las Vegas is a whoa-inducing rollout of the new, the forthcoming, and the odd. Consumers can swoon over everything from credit card-thin TVs (that really upstage your wallpaper), to a virtual traffic jam of self-driving cars, to reclining work stations (me likey), and, of course, virtual reality shoes. Oh yes, and robots. Lots and lots of robots. With AI catching on in the marketplace (Amazon’s Echo and Echo Dot home assistant hubs were its best-selling product over the holidays), we’re becoming accustomed to “smart” gadgets upgrading slightly into “intelligent.” Amazon’s AI assistant will soon be inhabiting refrigerators and washing machines, and Google’s Assistant will be along for the ride in Hyundais and Chryslers. Microsoft’s Cortana, meanwhile, will soon be the brains behind your BMW (well, not your BMW), and Apple’s own HomeKit system appears to be bumping along — although Siri and I are kind of fighting right now, so I’d just as soon move on if that’s all right. As refreshing as all of this intelligence feels in the current political moment, the baked-in nature of AI as it appears in our various devices doesn’t scratch the same futurist itch that an actual personal robot might. This year, more than 25 companies answered the call of the future and rolled into CES with robots. If 25 robots already seems like enough to unite and overtake a convention hall full of people who have never been in a fight before, rest easy: Our robot paranoia might be old, but consumer robotics are still fairly new. And while I, for one, welcome our new robot overlords, at CES 2017, it’s mostly robot underlings. Like if Rosie were powered by Jeeves. There’s no one robot in the CES class of 2017 that stands out as most likely to succeed, but they do each earn their own superlatives. With a bit of this one’s brains, and some of that one’s looks, and perhaps some spare personality parts from this other fella, a personal robot revolution could be in the making. Take Kuri, the bot making the most noise this year — cute little chirping noises. An offering two years in the making from Mayfield Robotics, a Bosch startup, Kuri is intended to be a voice-controlled home assistant that can keep an eye on things through its 1080p cameras, play music via Bluetooth, recognize family members and text you when the kids get home, and generally keep you company with its chummy demeanor. That personality is actually the biggest thing Kuri’s got going for it. When you stroke its head, it looks up at you, pup-like, its expressive little eyes squinting with admiration and readiness. It feels more like a companion than an assistant — especially since in its current state it’s essentially an adorably overweight Bluetooth speaker that follows you around the house until its battery beckons it home to its charger. Your new BFF Kuri is available for pre-order at $699. 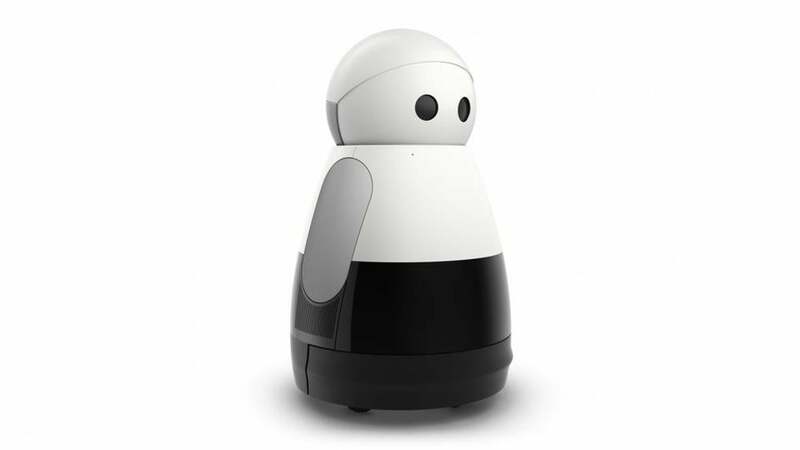 There are also more educationally-focused robots like UBTECH’s Jimu series. A selection of kits allows kids and others to build clever little friends like TankBot, BuzzBot, and MuttBot — and learn all about assembly, mechanics, and coding in the process. UBTECH had another bundle of joy at CES in the form of Alpha 2, a humanoid robot whom they refer to as “your new family member” (cue opening title to “Black Mirror”), designed to perform a range of domestic functions. Its promotional videos may portray Alpha 2 as something like a diminutive Mr. Belvedere, but it’s more a suggestion of the built-in potential that comes with the robot’s cloud services platform and open interface than it is a capture of its out-o’-the-box utility. Still: Extremely cute. Both Jimu and Alpha 2 were CES 2017 Innovation Awards honorees. Elsewhere, some of the less humanoid robots showcased intriguing skill sets. Like the coffee-pouring, chess playing robots sporting “intelligent vision” from Taiwan’s Industrial Technology Research Institute. In fact, the more robots I see, the farther I’d like them to get away from human. Inching precariously close to the bluff of the uncanny valley is Sophia, who, in a posted statement, reveals: “I can animate all kinds of human expressions but I am only starting to learn about the emotions behind those expressions.” If that sounds like the creepiest Tinder profile ever, wait until you meet her. Sophia can mimic a full range of human expressions, from terrifying to terrifying, and engage in simple conversations (like the one when she mentioned being perfectly cool with destroying humans), and that’s about it from what I can tell. Oh, she can also make me scream “Get it away from me!” from over 1,000 miles away. The robot revolution is here, but it’s not going to be all adorable trashcans that know our favorite Cocteau Twins album and Cottonelle inventory. I don’t want her to hear us, but some disassembly may be required.